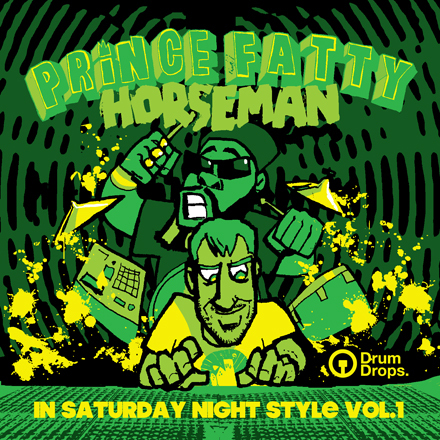 Prince Fatty & Horseman In Saturday Night Style Volume 1 by Drumdrops is Soundware (e.g. samples or presets that load into other products). This album features 13 early 1980s dance hall (pre drum machine era) reggae drum tracks. Dub producer Prince Fatty and drummer Horseman have created a selection of steppers, two drops, one drops and flying cymbal patterns ranging from 65-142 BPM. The album was recorded at The Ironworks studio in Brighton, UK, using an analogue combination of an Ampex M1200 tape machine and vintage pre-amps. A Rogers Big R Dub Kit was used, which consists of a 24" Kick Drum, 13", 15" & 18" Toms, a Ludwig Black Beauty Snare, Remo Timbale, 15" Zildjian hi-hats and additional percussion including a kete drum, cabassa, block, shakers, tambourine and electronic percussion, as well as a custom spring reverb. Prince Fatty and Horseman In Saturday Night Style Volume 1 is available to purchase as drum multi-tracks, mixes and drum stems and drum loops. All of the multi-tracks come with session templates including Pro Tools 9, Cubase 6, Ableton Live 8, Reason 7, Reaper 4 and Studio One 2.5. An OMF file is also provided should you need to export the 24-bit 44.1 WAVs into any other DAW. A beat tempo map is included to help sync up the drum machines. The Stem and mix packs come with four full mixes of the tracks, with and without percussion, as well as separate drum stems of each individual drum component. These stems are designed for those who want the ready mixed versions of the track and will help build your track at a fast speed. The drum loops pack contains about 5 different 4-bar loops taken from the track, which are provided as mixes of the individual drum parts, as well as the full mix. 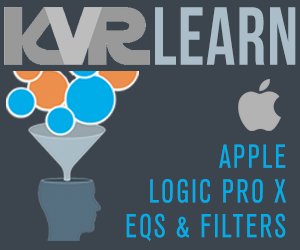 Available formatted as WAVs, Apple Loops and Rex2 files, they can be dropped into any software easily. Each loop pack contains about 12 different variations of the 5 loops making 60 in total.